A friend made a similar recipe at work for us one day last week. I thought it was quite tasty and decided to try it at home. Here is what I ended up doing. Simple and Delicious! Using a 16 ounce baking dish (I used my trusty pyrex bowl) place fruit on bottom. Add honey, brown sugar and salt to fruit. Mix together. 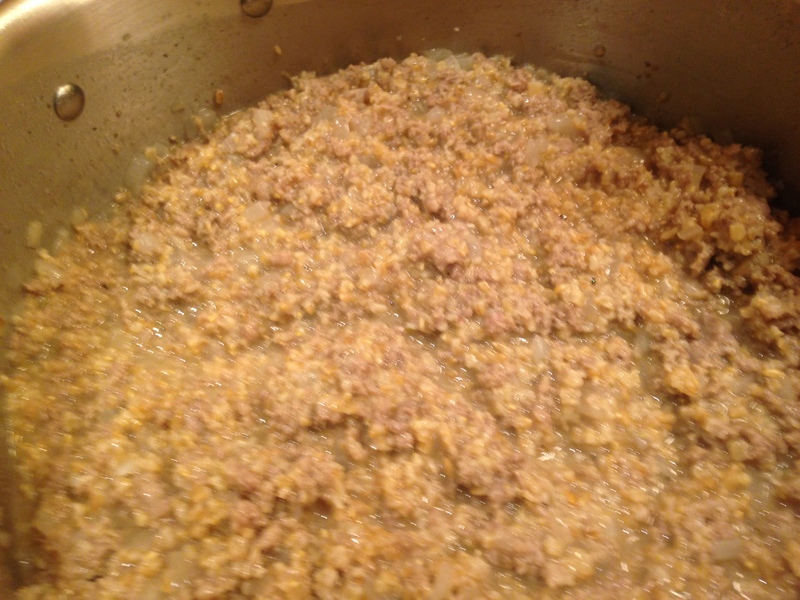 Add milk and oatmeal to separate bowl or pyrex cup, stir together. Pour oatmeal mixture over fruit. 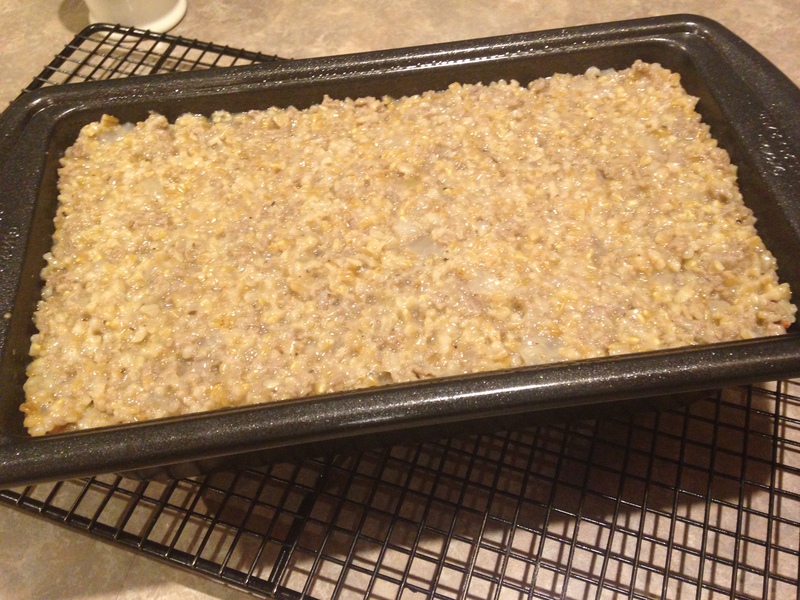 If the bowl seems too full, place it in oven on a baking sheet lined with parchment paper. I am not a fan of messes!! Kent wanted a breakfast pizza today. He does not like it when I use the cast iron skillet. He insists the skillet has flavors that seep through because I do not clean the cast iron skillet with soap and water. You DO NOT clean a cast iron skillet with soap and water. You clean it with oil and kosher salt over heat on your stove. 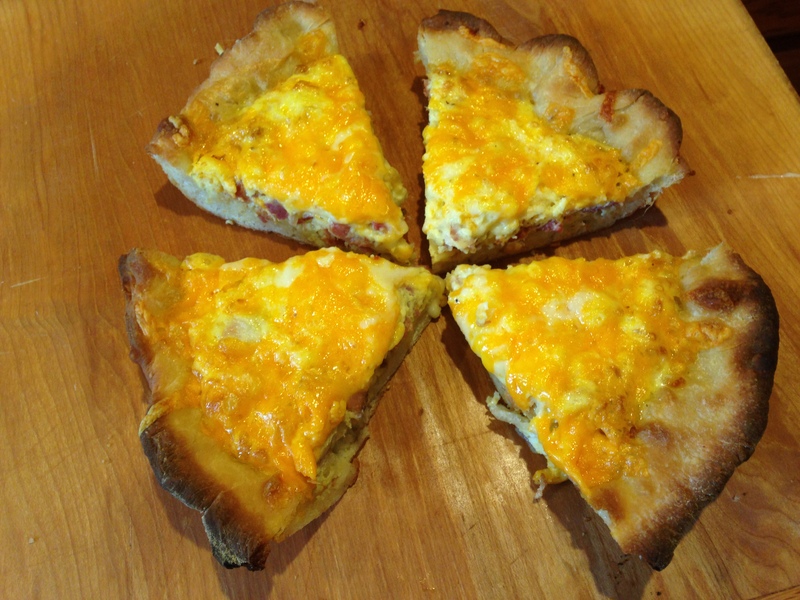 So…I decided to try something different with our breakfast pizza to appease my loving husband. This time around I used a 9 inch non stick pie tin. Guess what…it worked fabulously! 5. Roll out pizza dough to a 12 inch circle. Place in pie tin. 10. Bake at 450 for 10-15 minutes. 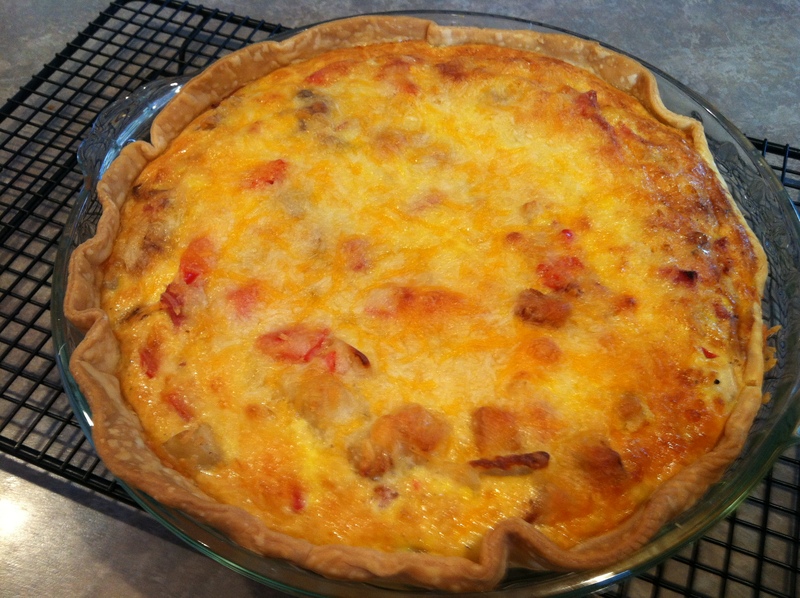 Kent liked this recipe more than the one I do in the cast iron skillet. I thought it tasted delicious too! Another simple and delicious recipe for you to try. 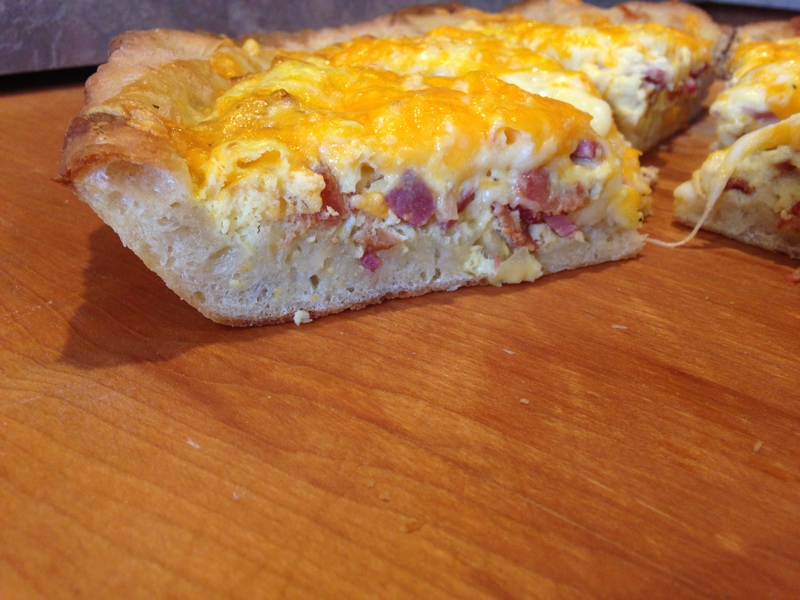 Also, you can put whatever you want in your breakfast pizza. This is what we chose for today. Enjoy! 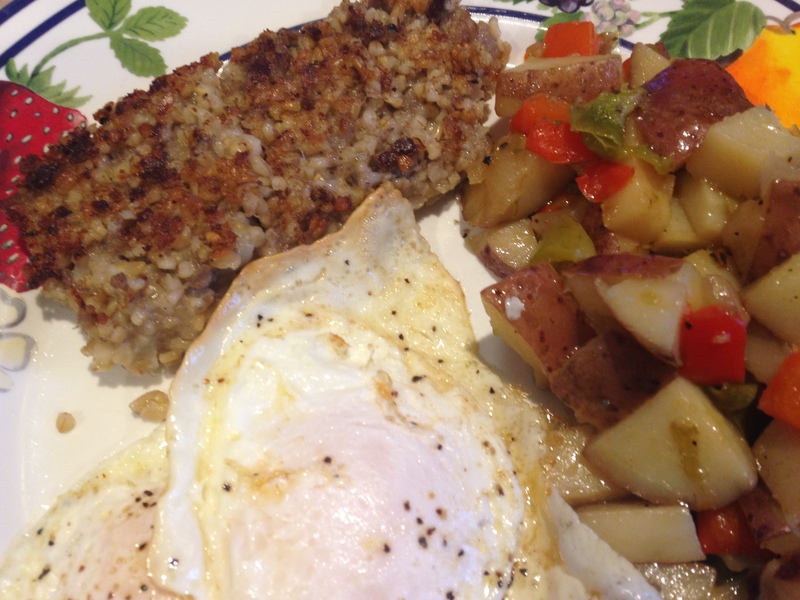 Here is a simple and delicious way to have a healthy breakfast during your work week. 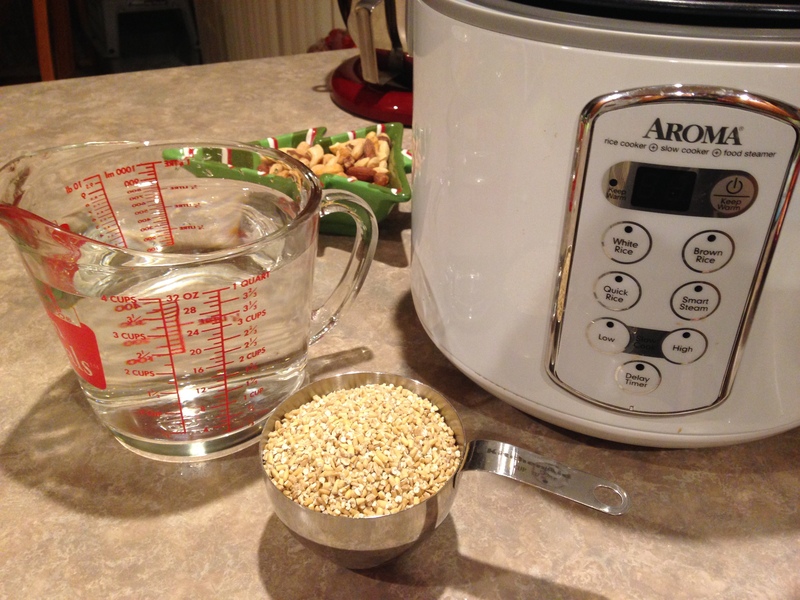 Combine ingredients in slow cooker and set for 7 hours. That is it. Enjoy!! 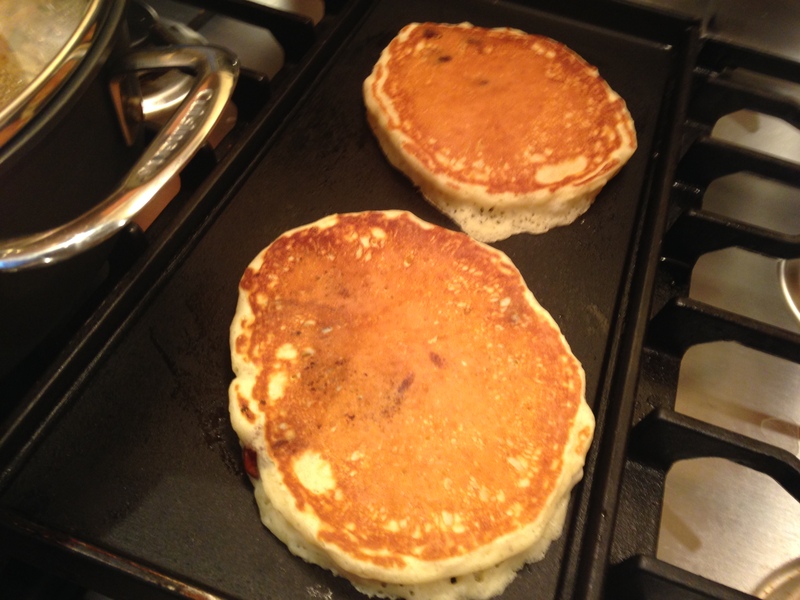 Chocolate Chip Pancakes – YUM! I decided to have Breakfast Friday this week. 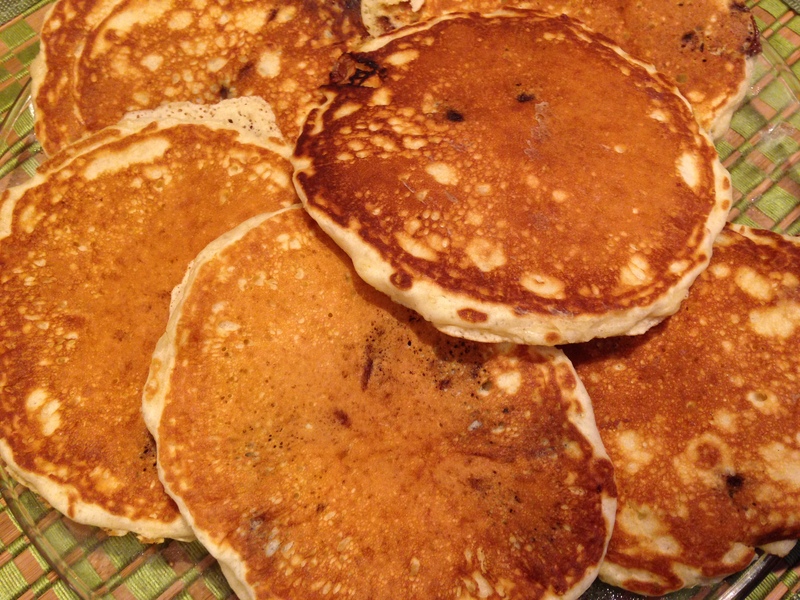 The hit were these Chocolate Chip Pancakes. These are definitely simple and delicious!! 4. 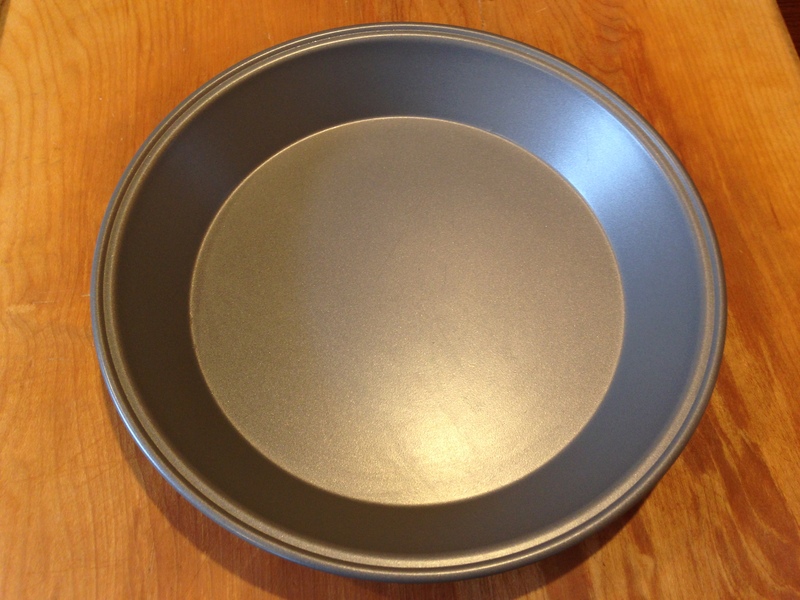 Spray fry pan or griddle with cooking spray. 5. 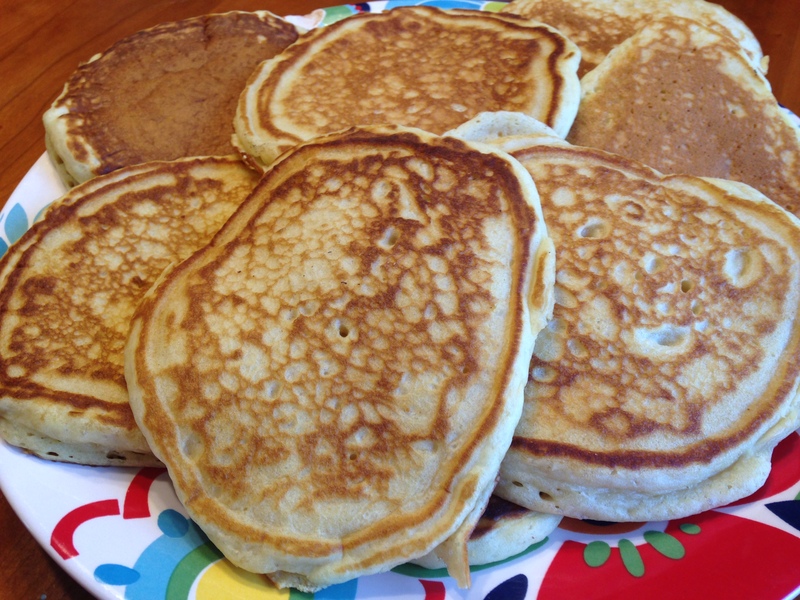 Using 1/4 cup, scoop pancake mix and pour onto griddle. 6. Flip over when bubbling stops. Let cook about 1 more minute on other side. Remove from griddle and onto plate. These didn’t need anything but we used butter and Wisconsin maple syrup. Hope you enjoy!! I had someone mention to me I should try some egg bakes. This peaked my interest and I have been trying to find some recipes. A friend sent me a recipe which looked yummy. After looking at that recipe I decided to wing it and just make it up as I went along. This was fun and easy to make. Here we go! 1. Put vegetable oil in frying pan and saute the red pepper and onion for 3-5 minutes. 4. 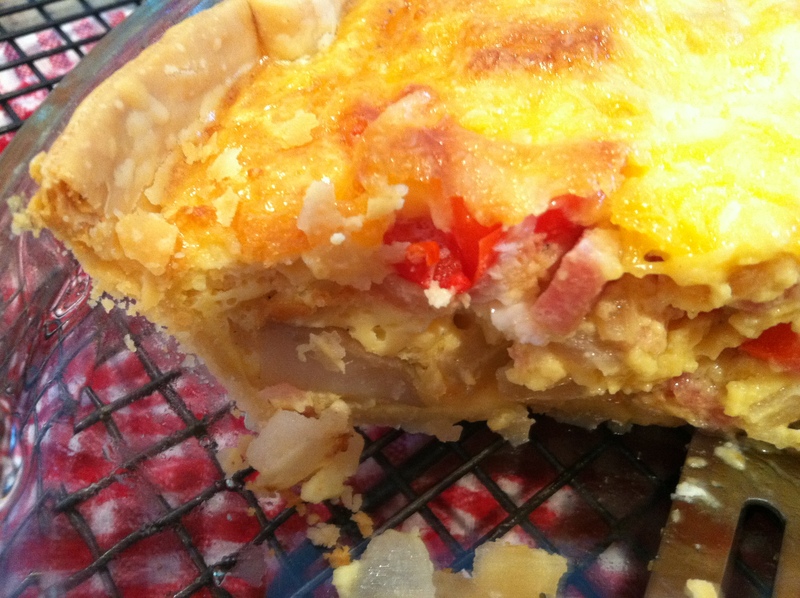 Mix together the whisked eggs, onion, red pepper, potatoes and ham. 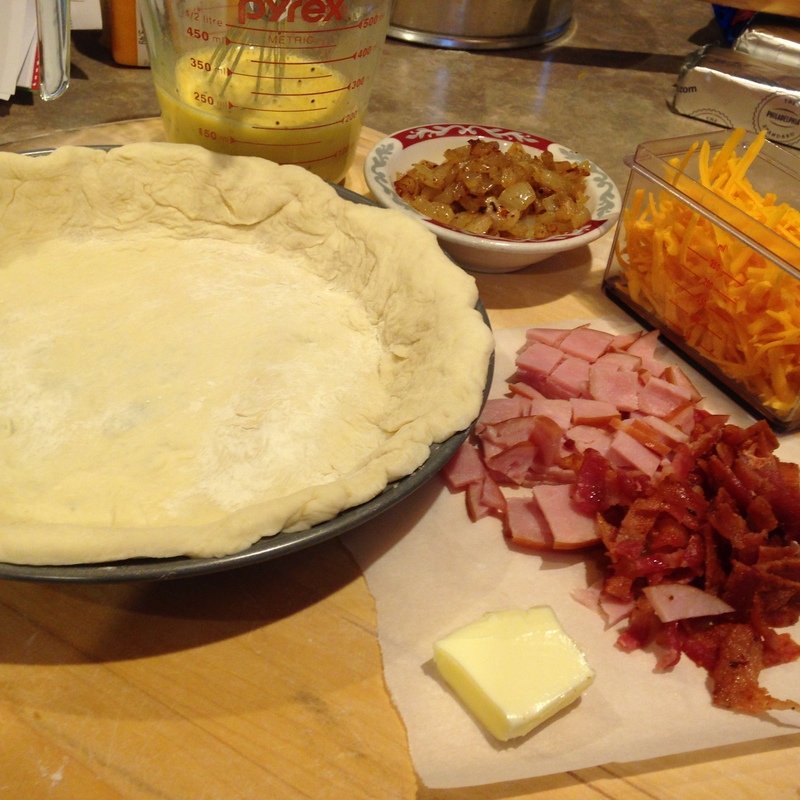 Pour into pie dish. Top with the cheese. 5. Bake at 375 degrees for 40-50 minutes. This was awesome! I would definitely make this again. I think the potatoes really added to it. (Now I know what to do with leftover potatoes.) It was also quick to make. Hope you enjoy this Simple and Delicious meal!